ServiceMaster Restoration by Complete is a leading provider of disaster restoration and cleaning services in Staten Island & Brooklyn, NY as well as Essex, Bergan, Somerset and Middlesex counties in New Jersey. We provide residential and commercial damage restoration services for homes and businesses throughout the area since 2001. We respond within 1-2 hours of your call so that we can minimize the damage and restore your home or business as quickly as possible. Our state-of-the-art equipment and cleaning products allow us to restore significant damage in commercial and residential settings and we also respond to large losses throughout the United States as part of ServiceMaster’s nationwide catastrophic response network. 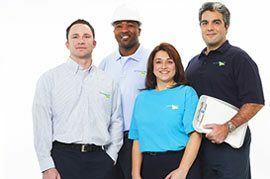 The technicians of ServiceMaster Restoration by Complete are highly trained and have received IICRC certification for water damage (WRT), applied structural drying (ASD), and mold remediation. You can reach us 24 hours a day for emergencies by calling (718) 984-6660. ServiceMaster Restoration by Complete not only provides quality disaster restoration and cleaning services, but also tips on how to prevent or recover from damage as well as news and updates relating to our company including special offers. You can check out our latest news and advice by keeping up with the posts on our blog.